Did You Know About Landscaping Waste Recycling? Most homeowners probably don’t think too much about what happens to the landscaping waste from local landscape projects. However, if you believe in green living or eco-friendly business practices, you might be interested in finding out. 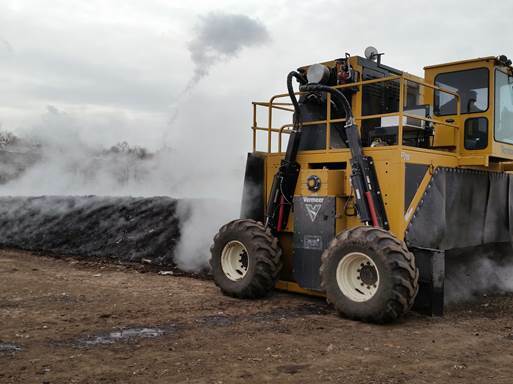 Landscape Creations works with a Waste Management facility in Romeoville, IL to recycle yard waste into earth-friendly compost that can be used as a mulch or compost to help fertilize new plantings. What types of yard waste can be recycled? How much can be recycled? You might be surprised by the answers. Landscape Creations sorts, gathers, and transports recyclable landscaping waste to Waste Management’s Romeoville, IL facility. Yard waste is received by Waste Management and is processed or ground down for size reduction. The waste is formed into windrows. Windrows are long rows of organic matter or biodegradable waste that are ready for composting. Once the windrows formed, they are turned to improve oxygen content, mix in or remove moisture, and redistribute portions pile. By keeping the pile moist and aerated, microorganisms break down the various forms of yard debris and convert it into stable compost. The resulting product is compost, which can then be used as a soil amendment in landscaping, gardening, and agricultural uses. It is also regularly used for topdressing lawns or local baseball fields and can be used as landscaping mulch. While landscape waste recycling is an eco-friendly way to speed up the natural processes that degrade organic material, not all landscaping companies invest the time and resources to do it. 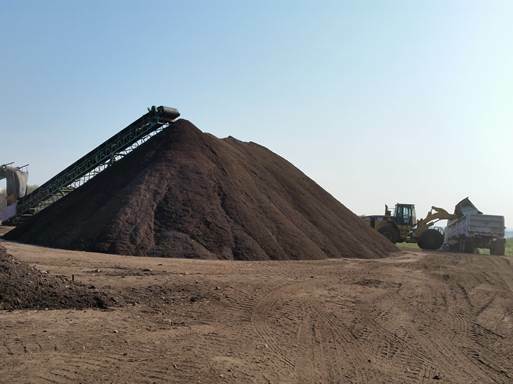 Landscape Creations is proud to work with Waste Management to recycle landscaping waste into compost or mulch that we can use to fertilize your yard or plantings. To learn more about our landscape design and landscaping services, contact us today by calling (630) 932-8966.